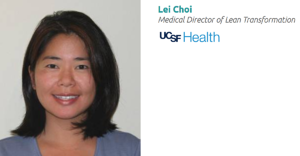 Dr. Lei Choi, Medical Director of the Lean Transformation Office of UCSF Health, is a practicing physician in the UCSF Division of General Internal Medicine. 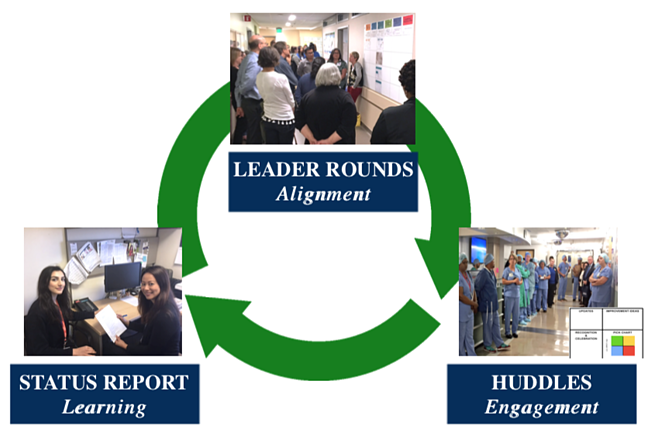 She has been responsible for engaging physicians in UCSF’s Lean Management System, and developing Lean training efforts for faculty, residents, and fellows. 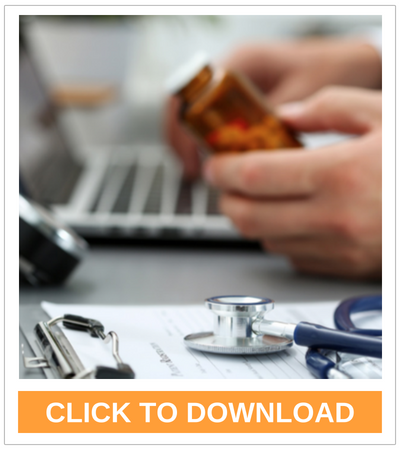 While at Tufts Medical Center, Dr. Choi served as the Acting Chief of the Division of General Medicine and the Director of the Adult Asian Health Initiative. In these positions, she actively optimized healthcare access for the Boston Asian immigrant community. Dr. Choi was appointed Director for the Lean Healthcare across the Sutter Health San Francisco campuses in 2013. Over the course of two years, she played a critical role in the successful adoption of a comprehensive Lean system throughout the Bay Area for Sutter Health.